There are many companies who claim to have best Premium WordPress themes, but very few have the guts and develop in house and do sell to their customer over the period of time. There are companies who provides 100s of WordPress themes but themes what they provide are from third party resources. Any one can develop a theme and then submit to be the best theme but later majority of the developers either stop their support or some time even does not even provide any updates while we all know WordPress it self updates almost every month. SoloStream LLC knows WordPress updates and always provide stable updates to all of their themes and that is why its become the more reliable Premium WordPress theme provider. Here are top 5 Premium WordPress theme from SoloStream LLC. Simple and clean WordPress theme for portfolio website as well as showcase. Easy to use and customize from back-end. Fully responsive theme compatible with latest php version. WP-Explore is a premium creative blog/WordPress theme which boasts a very attractive simplistic design that you can use for many types of sites including blogs, news sites, personal portfolio and more. 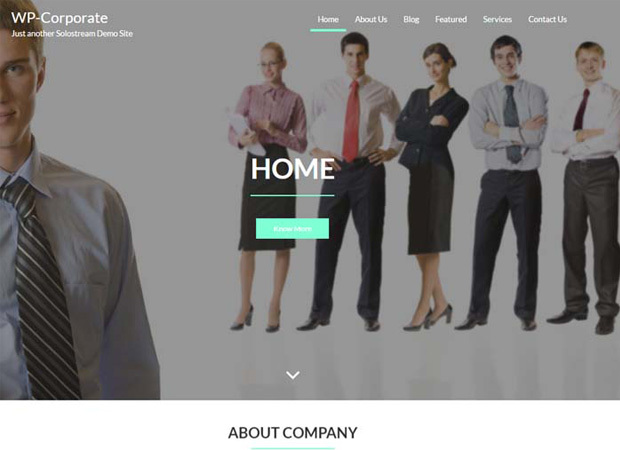 WP-Corporate is a professional multi-purpose WordPress theme. 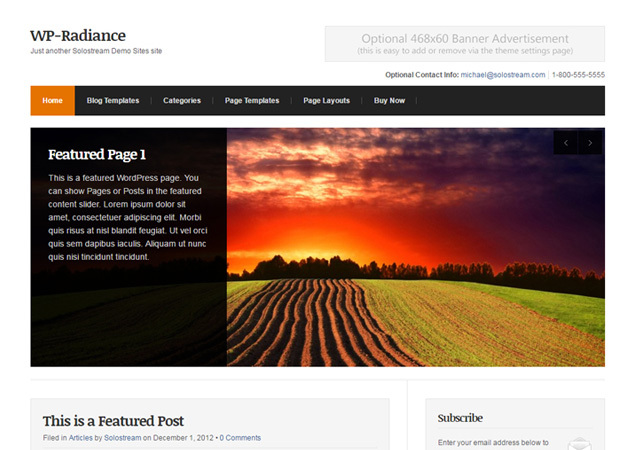 This one page layout theme is perfect for big to small businesses looking for an online presence. This premium theme will allow you to get your business information in an easy to read for users on all devices and browsers. 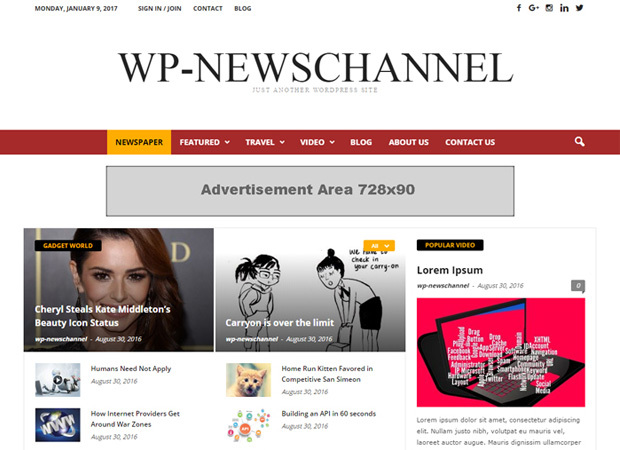 NewsChannel is a modern WordPress theme that lets you write articles and blog posts with ease and share your content in a unique way that is easy for your readers to follow and share. As its name implies, WP-Radiance is a stunning WordPress theme (even if we do say so ourselves). Bright, clean and feature-rich, it's sure to become one of our bestsellers. Whether you're creating a business website, blog or online magazine, this theme has what it takes to get the job done for you. 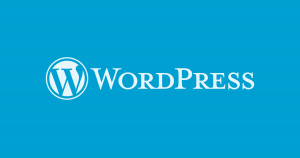 WordPress is an open-source, free, and a safe and secure content management system. The data from W3techs suggest that WordPress holds 58.55% of the total CMS marketshare which ensures the dominance of this CMS on the web. This is no surprise that presently around 30% of the internet’s websites are powered by WordPress, and with the successful plugins and extensions it is introducing for the developers, the WordPress’s future seems bright and shiny. The trend of building online websites to sell digital and regular products, or subscriptions and services had a spin in the last decade and is now become a profitable source of business. Businessmen, website developers and designers, and the digital marketing team; everyone is now assembled and compelled to do the finest jobs that they can to establish a working and reliable e-commerce store. The number of e-commerce websites is gradually increasing as every year passes by. Presently, $192 trillion e-commerce sales are carried out worldwide and this is only made possible owing to the presence of highly-functional and customizable e-commerce platforms. If we look over another statistic, we’ll see that WordPress e-commerce plugin named Woocommerce is one of the most popular and leading e-commerce plugin consisting of 32% of the e-commerce market at the moment. This is then followed by Magento 18%, OpenCart and,Shopify. The statistical data mentioned above and the practical usage and preference of WordPress, a free, scalable and a finest CMS directs us to the fact that, without a doubt, WordPress is a python in the world of e-commerce and provided that it continues its development in different technical domains, it can soon make other e-commerce platforms obsolete. Don’t you think so? As the checkout, billing and payment system of an e-commerce website matters a lot, as its slow speed and low-quality service is the most common reason for cart abandonment,the role of Woocommerce plugin swipes in here. This plugin helps in streamlining the user’s details and data which is then saved into the unlimited custom fields that it offers. The plugin also covers the role of updating the users about the latest notifications and updates. Being an open source website builder allows the developers, designers, and the e-commerce businessmen to control the way it functions. The access to the platform codes gives you the freedom to modify the Woocommerce website and the tons of plugins with which you can play give you a great deal of flexibility. On the other hand, a platform like Weebly and Shopify are less flexible in its comparison. Weebly allows you to edit the HTML and CSS codes to some extent but does not grant you permission to add non-Weebly tools, unlike Woocommerce. The platforms like Shopify, Prestashop, Magento, and others offer a good range of free themes and plugins but the ones with high-functionality and more extensive features are only available after purchase. Keeping this in view, Woocommerce fulfills the expectations of the majority of the users by offering a wide range of free features. It comes with 55,738 plugins till this date and each one of them is updated on a regular basis to ensure quality functioning. When it comes to the performance and security updates, in systems like Weebly, these are managed in the background by the system itself. Even Shopify and Magento takes care of the maintenance and security updates itself. But with Woocommerce, the developers are in charge of making sure that the update of the system, plugin, extension, theme or the template takes place on time. The website will simply pop-up a notification and you’ll have to update it on time. Another drawback of using Woocommerce is that with so many plugins, both good and bad, there’s a constant security threat to the website (if a bad plugin is installed). With other platforms, this threat is next to none. Provided that the Woocommerce development focus on the security aspect of its program and filter out the bad quality plugins, it can make other e-commerce platforms obsolete. 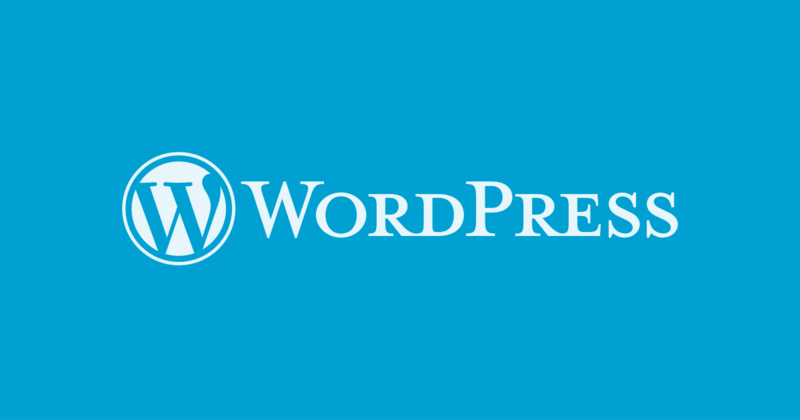 The WordPress is an established system extending its roots in the world of Web. With some major attention on security and continuous evolution of other features, it can definitely rise as the sole e-commerce website builder. Paul Simmons is a professional eCommerce web designer at Extendons, a company offer extensions for various shopping carts such as WordPress & WooCommerce. You always think of free WordPress themes are not the one that you should use because of many reasons. They are often not complete, not proper support and developed by amateur developers who have not followed the standardization. Here we are discussing the top 5 cons of the Free WordPress themes. Not enough features: When you wish to develop full fledged and fully dynamic website for your self or for your clients and you choose Free WordPress themes, you often found that free themes have less features compare and what ever you have they are not quite enough. There are many themes out there were they lack of even simple functionalities of WordPress and that is missing so it needed very pro hands to developed a standard website using Free WordPress themes. Un-managed Codes: Often Free WordPress themes are developed by the amateur and that is why they use very basics in codding and even the html and css, We have even seen the theme with In-line CSS that is something you never expect to have. As you update your theme which in many case on free WordPress themes you do not get but in case you have new update then it becomes really worst when you update as the themes are developed with in-line css. Now a days security becomes the major issue and that is why the dynamics like PHP and MySql versions are often upgraded and Free WordPress themes are really the one who failed to meet the requirements. 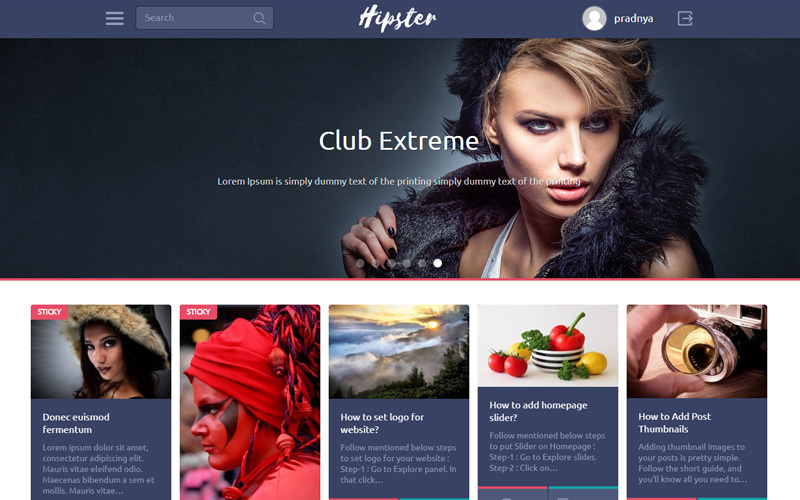 Amateur Designs: Now a days every themes are presented with sample data and a showcase view but you can easily figure out what is the free theme and premium theme upon checking the layout and infrastructure of the demo site or showcase. Any of the Website or Blog should be properly developed considering the infrastructure or design. Search engine like Google, Bing and others are very peculiar when they crawl your website and their crawlers follow the standard format and architecture so if your website is not upto the mark or meeting their requirements, there are chances they will not crawl and mostly they will not even rank into the google. Compatibility & Updates with WordPress and WordPress plugins: May times the free themes failed to update with WordPress and WordPress plugin updated and that time you needed an expert help to bye pass any error or any of the codes or update them into the latest WordPress compatibility. In many case it is found that some plugins or themes creates malfunction and failed to work smoothly, often takes lots of time to load and even give 500 error, which is very common. Support: One of the major and most focused point is the support when you have the website or blog and you want to have that up and running when ever your clients and search engines visit your website. So let’s consider when you have the website which is running on the free themes and you found one of the above things which stops your website and you are no where, you have to hire pro-developer who often put big hours and top dollars to fix your website. But when you have the Premium themes or paid themes you can always ask them and you always get response as they are bound to give you. Now the conclusion is, when you want to learn WordPress the Free WordPress themes are the best option where you do not have any risk on loosing any of the data while if you have your website running with Free WordPress themes, it is highly not recommended, there are many of the Premium WordPress theme providers and developers are there who can give you good support and quality themes with subscription and individual theme price. SoloStream.com is one of the player who not just provide the Free WordPress themes with support but also the Premium WordPress themes and Custom Developed Themes as well. SoloStream.com is also developed each of the themes so you can always expect extensive and quality support every time. We wish to pick out a template for any WordPress site were as simple as we always assume it to be. Many newbie users select templates based on budget and fancy features. In reality, picking a new template is hardly ever like picking a new pair of shoes. You look for an elegant design or a replica of a famous designer model, within your budget. The question is – is that even right? You should never forget the functionalities you need from your website template before you start picking out one. If you are choosing a blogging template or a template for a company profile, you need to remember the convenience of the users to read the content. Therefore, you must pick a responsive template that target users can access from a wide range of phones and tablets. Since long-form content is on a roll in 2017, always choose a template that supports all kinds of reading modes. It should support Google Fonts, and it should support contact forms and sign up forms on all sorts of devices. Let us dive into one of the biggest confusions most designers face while designing a website for their clients – free themes or premium themes. They do not support plug-in updates or new versions of WordPress engine. Their codes are not as optimized. You can face a lot of glitches while working. For any designer or developer, these reasons are enough to push them towards premium themes. SEO-Rochester-NY emphasizes the importance of freedom of creation conferred by the premium themes from verified sources. Why should YOU go for a premium theme? Unless you are fooling around for a school project, your website is supposed to be one of the smartest investments of your business career. Now, if you want your site to be resourceful and user-friendly, you will need to customize your website from top to bottom. Free themes are not bad, but you will be taking a lot of unwarranted risk by taking on a free theme and customizing it. Theme prices usually run between $50 and $100. While you may be thinking, “$80 for a theme! I might as well get one for free”. You have no idea, what a great deal you are getting. For a business website that aims at making hundreds of dollars each day, investing on a $100 theme should be no big deal. You need to start thinking about your business as your source of revenue to understand the ratio of investment to return here. Where will you find a great WordPress theme? You can try any reputed WordPress theme creators who specialize in premium themes like ThemeForest, Mojo Themes and Elegant Themes. Our experts can also help you find the theme you need as per your website functionalities and features. From blog themes to e-commerce site themes, most premium theme designers have all kinds of WordPress themes and templates in their coffers. Right now, 8% of the 100 most famous blogs run on WordPress and 2645 of the 1000 most popular websites are powered by WordPress as well. It is rewriting the history of website development and content management with their fantastic, responsive and intuitive theme designs. To enjoy all the features the leading CMS platform of 2017 has to offer, you need to invest in a theme that allows all kinds of customizations. Author Bio: Hilary Brunt is a digital marketing expert working with the leading SEO-Rochester-NY agency. She has been around since the modernization of SEO and the advent of the era of responsive themes for websites and blogs. WordPress could be a great way for you to develop your online presence. If you’re new to this particular field, this article will shed some light over the extensive area that is web development. However, if you’ve spent some time looking through different options, you’ve surely come across free WordPress themes. While they might be a great way for someone to introduce himself to the world of internet blogging, they surely won’t do you much good if you want to establish yourself as a professional entrepreneur. They’re just not crafted for this. Premium themes, on the other hand, are something else entirely. You might think that the difference isn’t that big and that it’s not worth investing in a premium theme. Well, the truth is that you can’t be more wrong. Here’s why. If you decide to go with a reputable and reliable premium theme shop and we most definitely advise that you should, you’d surely receive a product of superior quality. However, defining quality when it comes to a web template could be rather hard. Well, to put it in simpler words, you will get a unique, distinguished and most importantly – recognizable design. This would allow your particular website to stand out from the crowd. However, a quality premium WordPress theme is also going to ensure the required responsiveness which is incredibly important. You should keep in mind that the standards of the web are constantly changing just like the capabilities of our browsers. Premium WordPress themes are set to ensure a pleasant user experience, which is ultimately the most important thing that you should aim towards. Unfortunately, a huge amount of the available free WordPress themes are indeed packaged with malicious codes. You can probably see how this might hurt your blogging experience. Developing your web presence on a premium theme, on the other hand, would ensure that your site is safe and sound. Another huge disadvantage of free themes is that they are not functional. It takes forever to make a minor alteration to your theme and even longer if you aren’t a tech head. Well, premium themes take care of that. They are generally designed with functionality as a top priority. You should also expect to receive scheduled updates, provided you decide to go premium. Getting updated is a lot more important than what you might think. This means that your website will stay relevant, regardless of the changes that go around. This would enable you to have a consistent presence, which will further your prospects. Ultimately, you would have to spend a few bucks if you want to get a premium WordPress theme. This is one of their main characteristics – they are paid for. Usually the subscription is going to be for a year, during which period you can take advantage of all the perks of the premium theme. In any case, premium themes also comply well with plugins, which are essential for your business. Plugins can help you track activity, rank you higher in search engines and a whole lot more. There is a wide range of them that you might want to integrate and this particular article covers the ones that you most surely must have.